I apologise to my faithful readers, I haven’t posted for a while. 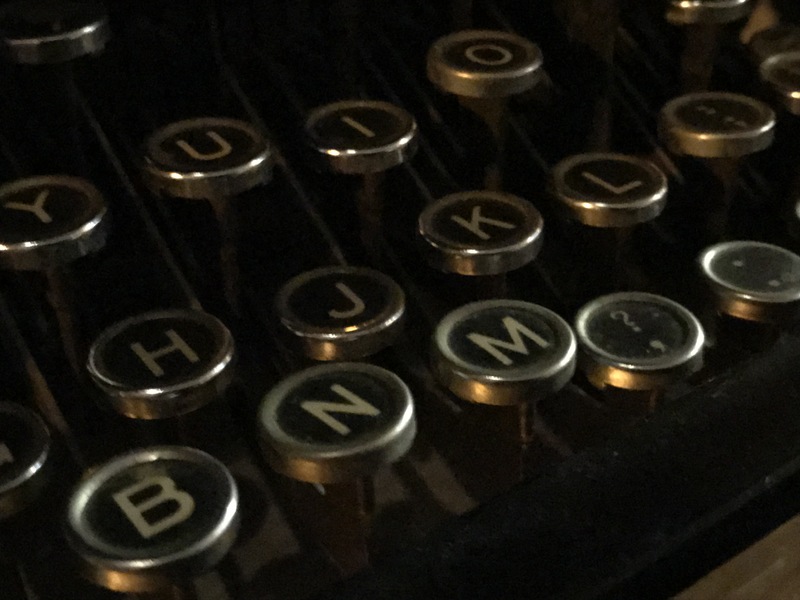 This is because I have been editing The Essex Girls (formerly known as Beyond the Beehive) in preparation for its publication on 18 April 2018 – hence photo above of a lovely old typewriter seen in a dark corner of a pub in Farringdon. I have not been sitting in a pub in Farringdon, nor indeed, working on a typewriter, but it’s the atmosphere that counts. 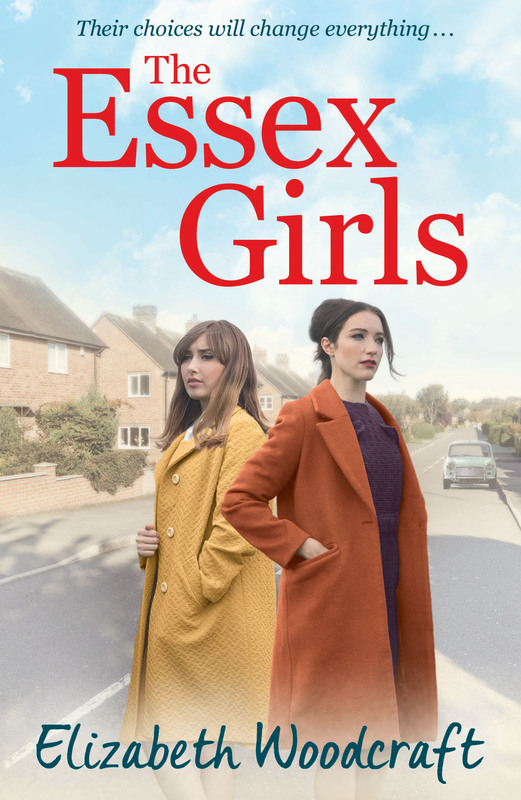 Some of you will know that in the book Linda, mod, Essex girl, narrator – is required to learn a poem at school and the poem she learns is by the Beat poet Lorenzo Fabbrano (my thanks to Roy Kelly for his assistance in obtaining permission to use the poem). 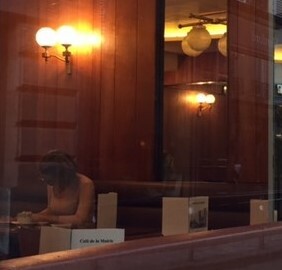 And so it was a pleasant surprise to receive an email from a friend directing my attention to a lovely programme The Beat Hotel which combines many of my favourite things – Paris, the Sixties, and coffee – in particular a mention of the Cafe de la Mairie in Place Saint Sulpice, one of my favourite hangouts. 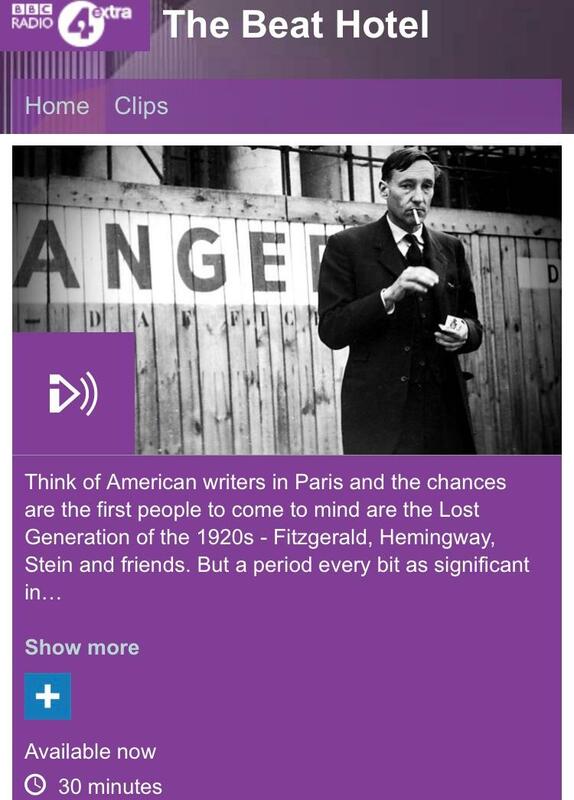 It’s just half an hour, but it’s very interesting as a slice of social history with some good stories about the old style hotel managers.